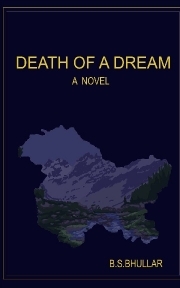 Description of "Death of a Dream"
This novel is the saga of a girl, the lone, wounded survivor of a massacre, left behind in PoK (Pakistan occupied Kashmir) at the time of exodus of non-muslim minorities. It is her untold story written in secret as she goes through incarceration behind the iron curtain of PoK. The author is a retired government officer. He is widely travelled within northern India during the course of his career. Reviews of "Death of a Dream"
Excellent book. It deals with the struggles of a sikh woman trying to reach out to her family and friends in Jammu and Kashmir after partition.